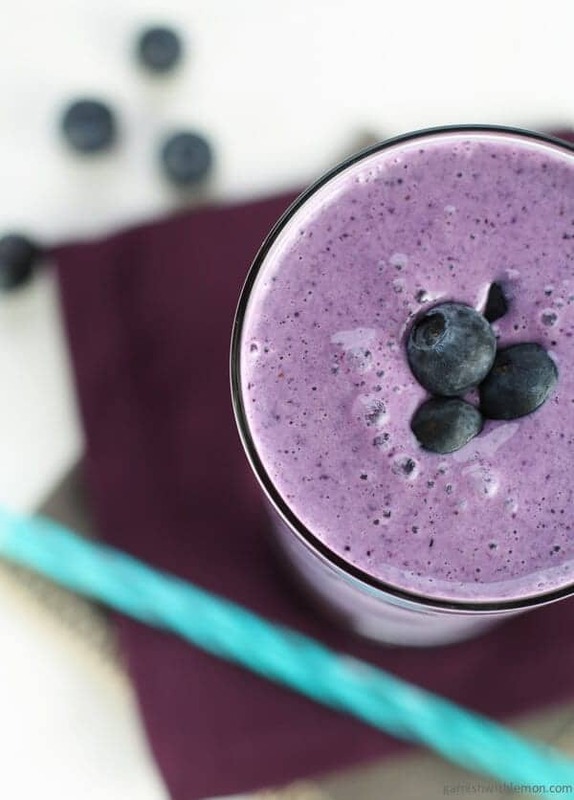 Start the day on the right foot with a protein-packed Blueberry Oatmeal Smoothie! It’s January 1st, and that means it’s smoothie time. After weeks of indulging in so many sweets and treats, I’m ready to get back to some healthy eating. Anyone else? 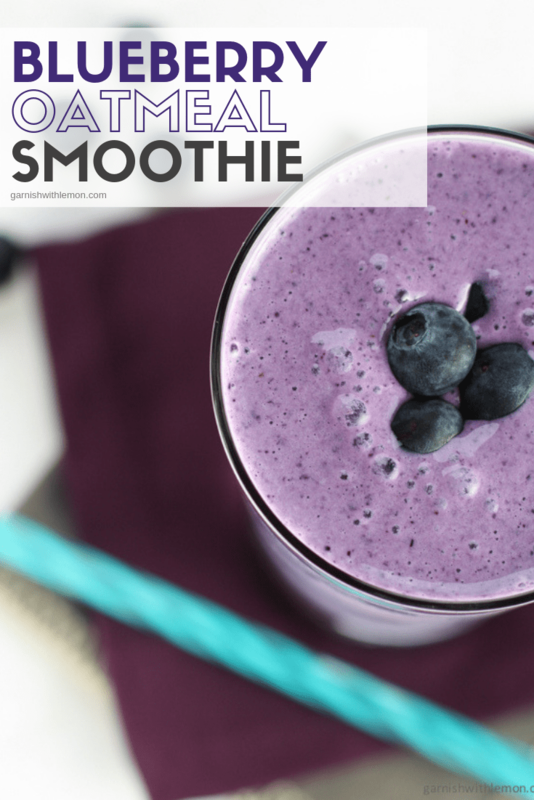 Since January is National Oatmeal month, it seems quite appropriate that we kick off 2015 off with a Blueberry Oatmeal Smoothie. 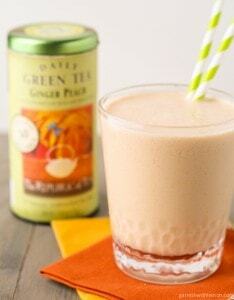 Have you ever put oatmeal in your smoothies? I have to admit, I was a bit skeptical at first, but once I tried it, it was love at first sip. It’s a great way to get some bulk in your smoothie when you don’t have protein powder on hand. (Or you think you have protein powder in the pantry only to discover that someone else used the last of it without telling you…Grrrr.) 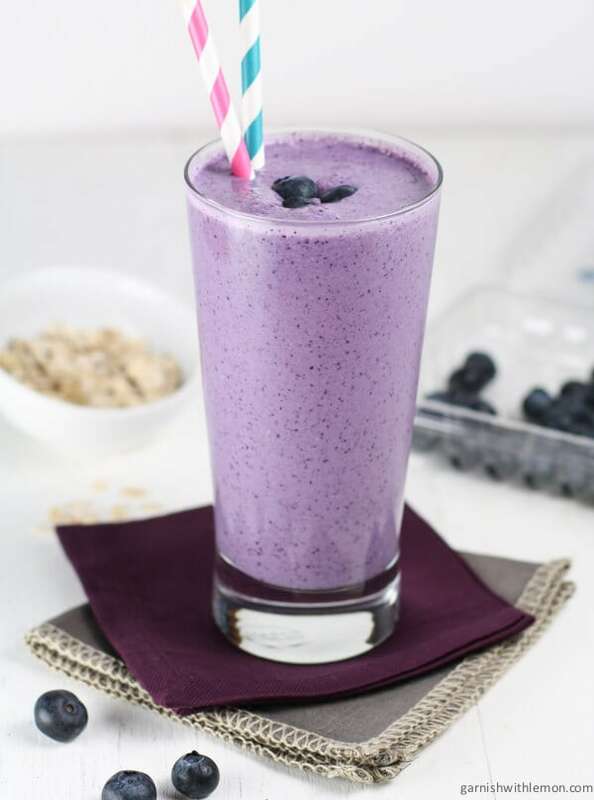 Fortunately, I always have oatmeal on hand, and since this smoothie uses everyday ingredients, consider the Blueberry Oatmeal Smoothie your new go-to breakfast. Sweetened with blueberries, vanilla Greek yogurt and a touch of agave, it is a great way to start your day, and your year. Replace with Chia Seed and Flaxseed. Same measurement of oatmeal, but add half of the Chia Seed and Flaxseed. Getting myself ready to make this! So pretty, easy, and — I’m sure — tasty! Happy 2015! That would be delicious! Happy New Year! What a pretty smoothie! My 6yo loves blueberries and I have no doubt this would be an instant hit. Pinned! I love blueberries and oatmeal is my standard breakfast. Together this is wonderful. My new standard. A great combination, isn’t it? Can’t go wrong with blueberries! Hi Kathryn, We don’t give nutritional information because it can vary by the ingredients you use. You can use a tool like this to figure it out! https://www.caloriecount.com/cc/recipe_analysis.php Thanks! This both looks and sounds like a delicious healthy breakfast! 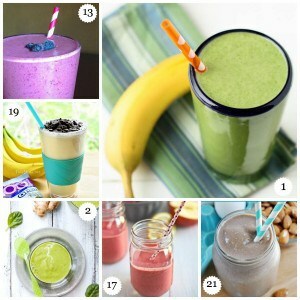 I’ve been stuck on overnight oats (Recipes on my blog behindtheplates.com) but I should try ta smoothie once in a while! Thanks for the inspo! It’s really good the oatmeal gives the smoothie a fuller texture and a filling taste and the mango n blueberries go great together. I used mixed berries tho and Apple juice for base flavor since I had no other juice. Would you recommend this for someone with type 2 Diabetes? Hi Penny, I’m not a dietician so I’m not comfortable saying one or another. Good luck! 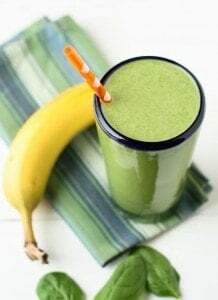 Made this smoothie tonight it was delicious! Thanks for the recipe. Yay! Glad you liked it, it’s a nice change from the traditional smoothie! Super good! Will add some greens next time. Glad you liked it! Let me know how it turns out with the greens added! Anything to substitute the yogurt?